Truly one of the best weeks of my life! Amazing! We were looking to do something that would bring together my love of running, Kev’s interest in volunteering abroad and our shared passion for exploring new corners of the world. It was even better than either of us expected. One of the most meaningful and memorable experiences of my life...can't wait to return! Had the most amazing week! A truly incredible experience like no other! Fantastic team well organised and run. About so much more than the race, although the marathon is brilliant.Would highly recommend for anyone wanting an adventure and to experience the beauty of Uganda! The most incredible week ever. And it's definitely not just about the run. Took my family: mum (age 69!) and daughter (age 6) as 'spectators', and they both had the most amazing experience too. A life changing experience that I enjoyed from the beginning till the end. If you want to gain a different perspective on life and start appreciating what you have more, definitely consider joining them. Never seen so many beautiful people with incredible hearts gathered together to be the change that they want to see in the world! An excellent team of people sharing passion, enthusiasm and talents to help the local community of Masaka. This was hands down the best experience I could have asked for. I've travelled for over ten years in my spare time and participated in various volunteering schemes, but this one was by far the best. It is clear they care about the people of Uganda and the visitors that spend the week in their company. I could not recommend this experience enough - it truly is an adventure like no other! Do you want to have an adventure of a lifetime, and make a difference at the same time? Then you need to sign up for the Uganda Marathon. My wife and I could not have been more impressed with everything from registration to the actual run. We enjoyed it so much I am planning to return again this year with a group from Jacksonville Florida. 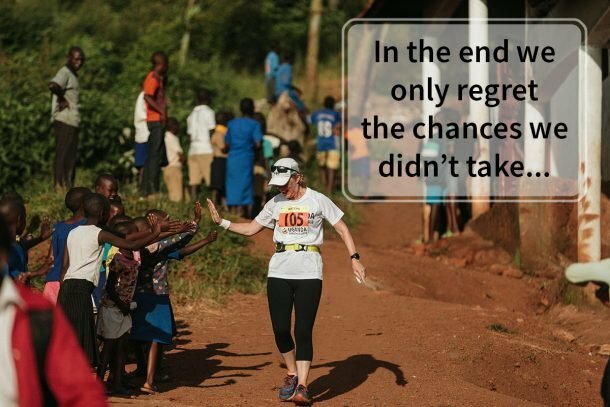 Join us, and make lots of new friends while making a difference and enjoying a run that is hard, but breathtaking. THE most incredible event, truly an experience like no other! I participated in this incredible event in 2015 and it really was a trip of a lifetime! The entire experience from sign up to race day was superbly organised and their customer service was second to none. I stayed in the Athletes’ Village which has to be the most beautiful campsite I’ve ever camped in! I met so many fantastic people, some with whom I became friends for life. We spent the week visiting the local projects which we had been fundraising for. It was inspiring to see how much positive impact the marathon is facilitating by supporting and empowering the community. I found myself truly connecting with the community and the people, which was so special. Race Day was a blur of excitement, hills, beautiful scenery and endorphins, unforgettable! After the event I was lucky enough to go on the Safari & Gorilla Trekking extensions which were awe-inspiring and left me speechless. I have been volunteering with the Uganda Marathon ever since and couldn’t recommend this adventure any higher!!! Our latest amazing photos on Insta! 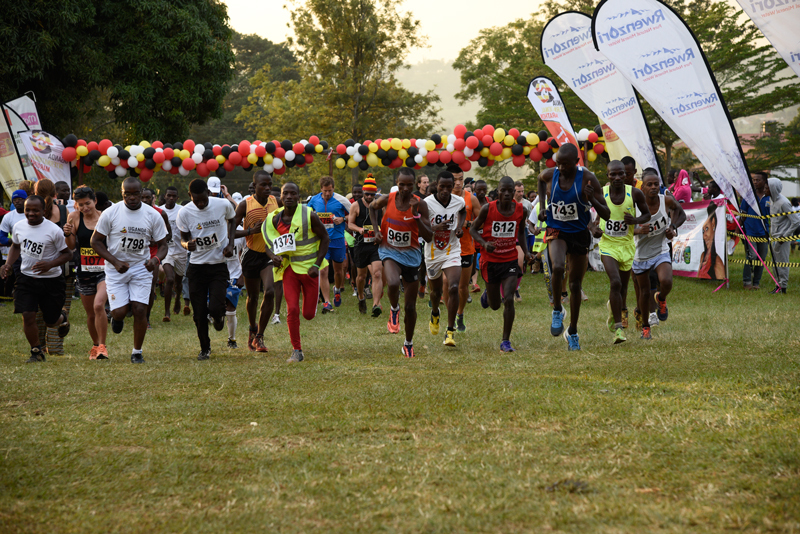 Uganda Marathon 2014-2018. One of the best adventures and marathons on Earth. Reg: Uganda Marathon, Mpuuga Building, Masaka, Uganda. Hear incredible stories from Uganda, find out more about the projects we support and get updates from the equator! You will also immediately receive a full info pack that has loads of information about the 2019 Uganda Marathon. Read all about this amazing, record-breaking event!